Every month, there are new models of 4G mobile routers available on the market. It is an interesting proposition especially in summer when we choose to have a vacation in different places. The mobile hotspot may not be necessary where there is access to a WiFi network. Everyone has a smartphone or tablet today and would like to use it even during the summer tour. However, if you want to save power for the phone, a 4G mobile router may be necessary. 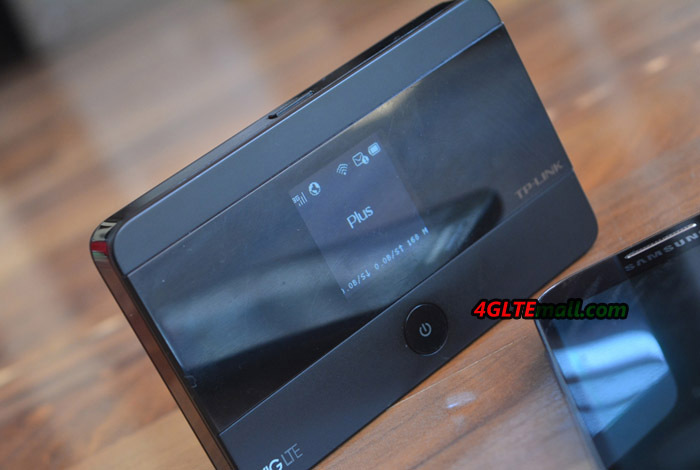 The router supports 4G LTE will provide quick internet access for several mobile devices. Such a device is TP-LINK M7350, which will tell you today. The TP-Link M7350 router looks elegant. A small, rectangular design can be mistaken with a smartphone from a distance. Especially, the M7350 router is black. On the upper surface mounted display – it is not large, only 1.4 inch, but it is sufficient to provide information on the calls, battery status, and of course the menu. Under the display power button, it is shaped in such a way that it was easy to find it without looking at the router. On the top edge placed the start button menu, while the bottom has a microUSB port, by which the device can be charged. As I mentioned, TP-Link M7350 router supports 4G LTE, and it have a memory card slot. Since it is a portable device, it’s also equipped with a battery. We will find them under the bottom cover. Unfortunately, the design is not very good, which will easily remove the cover. 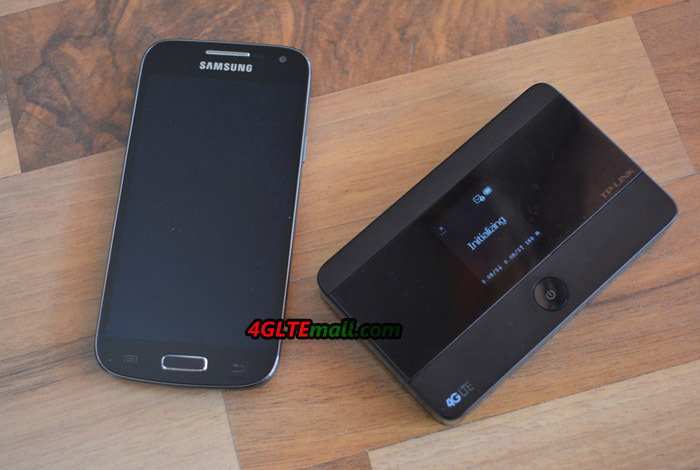 You have to gently pry and then we choose the battery, SIM card slot, and microSD card slot. The battery has a capacity of 2,550 mAh and can therefore provide a long service life for the router. TP-link M7350 is lightweight and small size, which allows put it into the pocket without problems (unless you walk in tight jeans). The body material is made of good quality. I would prefer, however, the memory card slot was drawn out. If we want to change the memory card, we must remove the battery and disconnect the network. If a socket placed on the side, we could do it without interrupting operation. Of course, this is only useful if you frequently change (or want to change) memory card. Display Statistics data, the state of Wi-Fi network, number of users, the type of network (2G / 3G / 4G), signal strength, access to the Internet, the battery meter. As you can see, the M7350 router does not support the latest standard 802.11ac, but allows you to work in the 2.4GHz or 5GHz network. It is very important that the first frequency is very popular, and in addition has a small number of channels, which can sometimes cause problems with coverage, interference, etc.. Of course, the main advantage is its support for 4G LTE networks and it could supports almost all the LTE networks in Europe and most carriers in Aisa. And up to 15 wireless devices could connect to TP-Link M7350 mobile 4G router. As you can see “n” is enough to cover the demand on the transmission, and 4G technology is available at high speed. Of course you can argue that this is the theoretical speed, in extreme cases 4G may be faster than the WiFi. We still think the “AC” feature is very important for future. Starting the TP-link M7350 router is very simple. After placing the SIM card in the device, simply press the power button. After a few seconds, the system will work, some may take longer to log on to the GSM network. 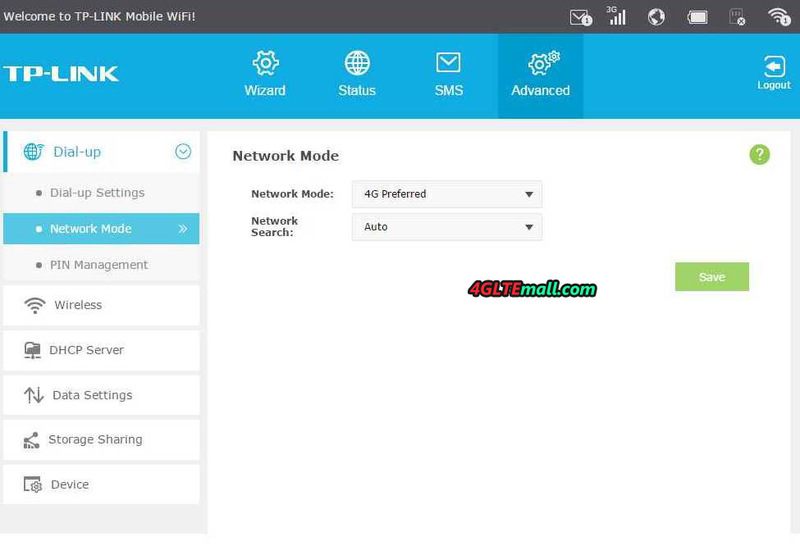 WiFi connection is very simple – just select the appropriate option in the menu and all the information needed – SSID and security key to connect to the network, which will be displayed on the screen. 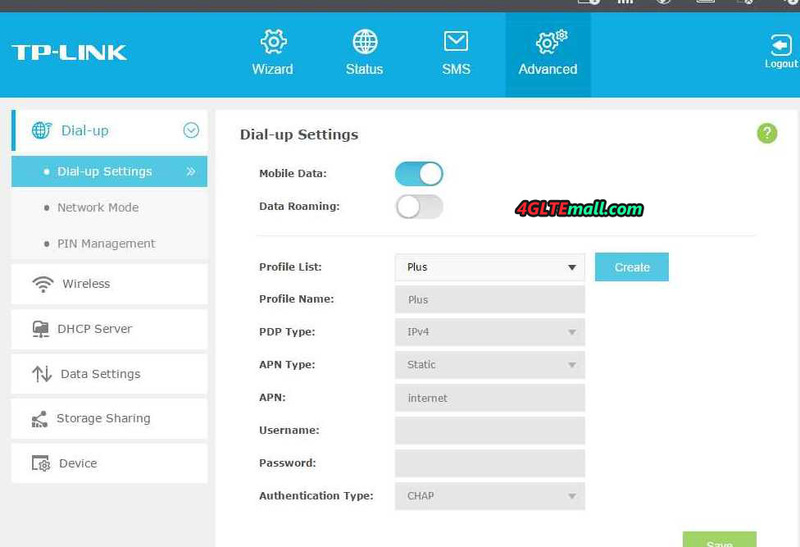 Then you only need a browser, enter the corresponding IP address, enter your login and password (the default is admin / admin) and can do all the settings for the router. Interface prepared by the manufacturer is very simple. In the upper part, there is a bar, which is equipped with icons that quickly inform us about the state of the battery, received SMS, connected devices, etc. Following are the main menu consists of four positions: Wizard, Status, SMS and Advanced. With their help, we can run the setup wizard, check the status of calls and statistics, see SMS and … ultimately configure the router. When selected, on the left it will display a new menu, which allows you to set network security, DHCP, restore factory settings, etc. Tests conducted using a SIM card with the Vodafone network. The wireless connection listed the notebook Dell Vostro. Below I present the results of measurements, but notes that the result may be different from other places. The link speed depends on the level of the network in place in which to combine. And the distance between users and the M7350 Router, the speed also varies. The farther you move away from the router, the transmission speed will be lower. Throughput tested by sending files with 1GB and 4GB. The achieved results presented in high speed on LTE network. As you can see, the results achieved are not bad. Compared to stationary routers that have external antennas offering improved efficiency in promoting and receiving radio waves, TP-link M7350 mobile router performed not quite bad, especially in the short run, and it performs better than 4G USB modems with whom I had so far to deal with. 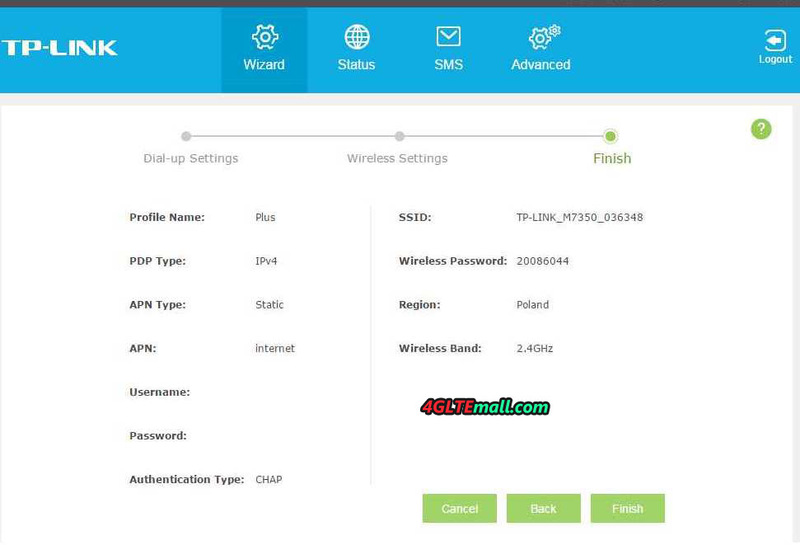 When testing the performance, we connect the M7350 router with mentioned the notebook, two Samsung smartphones (Galaxy S6 and Galaxy S5) and two Huawei new smartphones (Huawei Nova and Honor V8) through WiFi. For all devices I browsed the Internet, download files, and I played video on YouTube. I did not notice any special delays. The tests I conducted both in the open areas and in the rooms. In any case, I had a stable connection. At the end, we note just the battery. As I have written before the battery has a capacity of 2550 mAh, which is quite a few. 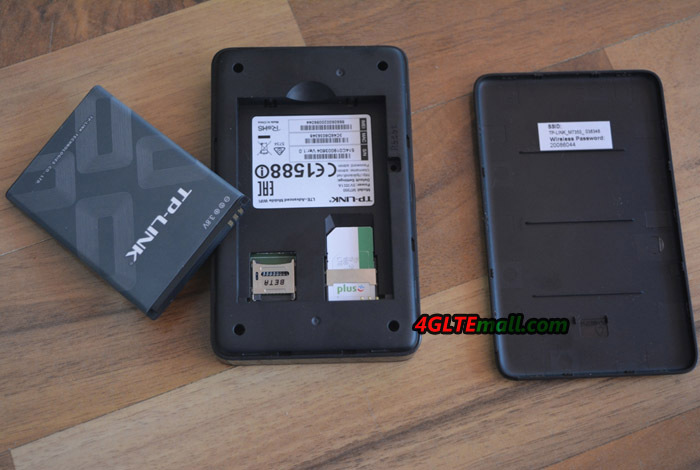 Since 4G is faster standard, users have great demand for a larger battery. Many other TP-Link’s competitors in China had presents the new 4G pocket WiFi with very power capacity, the new pocket WiFi can even charge other electronics, which is very very attractive and useful feature. 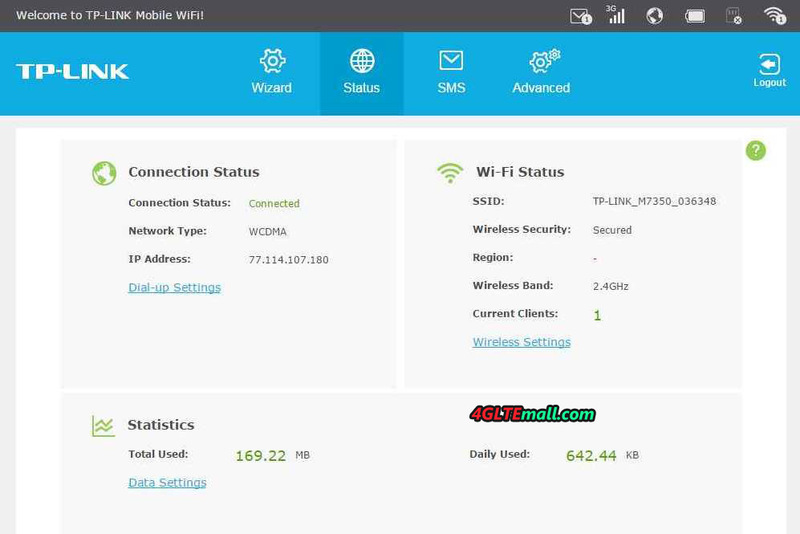 The typical models include Huawei E5770 Mobile WiFi Pro, Huawei E5771 MiFi Plus and ZTE MF903 Mobile Router etc..
TP-LINK M7350 is a good 4G mobile router, which it is worth to obtain. It is true that it is not cheap, but will provide fast transmission speed as the manufacturer promised. Simple connection to the network, a simple menu, simple and fast interface, all this translates into a simple operation. It could be a good partner for business trip or outdoor activities! The Chinese network specialist TP-Link presented a new model M7350 as new mobile hotspot with wireless support for up to 15 devices in the program. The router adopts LTE Cat4 and shows all the necessary information on its display. The TP-link M7350 is portable enough to take on the road to provide fast Internet reception. With the TP-Link M7350, the user can dial in LTE networks of category 4 and thus achieves download speeds of up to 150 Mbit/s and 50 Mbit/s upstream. What’s more, the router is of course backwards compatible with 2G and 3G networks with a maximum of 42.2mbit/s with DC-HSPA+ and then HSDPA 7.2 Mbit/s. 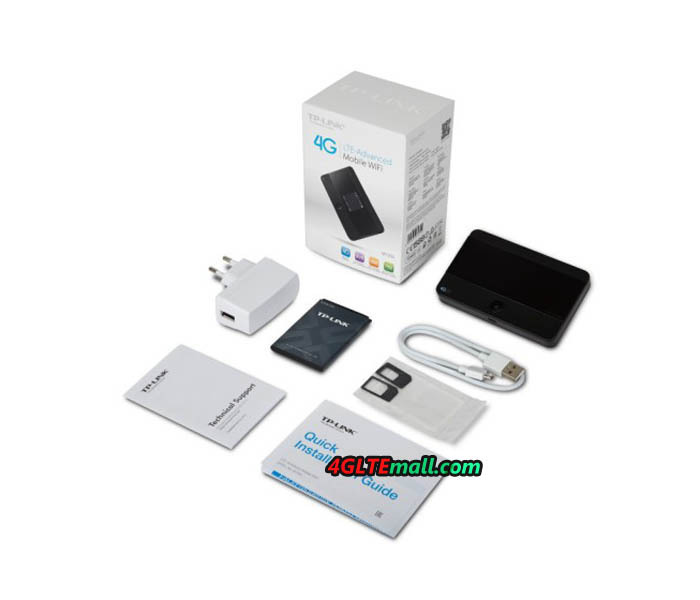 This also fits any SIM card because it contains even a card adapter for Micro-SIM and one for nano-SIM cards with the delivery of the router, in addition to micro-USB cable and power sup ply,. It’s a pity that the TP-link M7350 has not the connection ports for external antennas to improve reception quality. In WLAN, the M7350 supports the 802.11 a/b/g/n on 5 GHz and 2.4GHz, and the faster WLAN ac with up to 300 Mbit/s download speed. Up to 15 devices could be connected to surf via the mobile hotspot on the Internet. Around just 11 x 7 centimeters of the mobile hotspot, it is pleasantly easy to handle and the screen shows sufficient information on its 1.4 inch TFT LCD display about the data volume, the Wi-Fi state, the number of connected devices, the network type (4G/3G/2G), the signal strength, the Internet connection status, incoming messages as well as the battery state of charge. 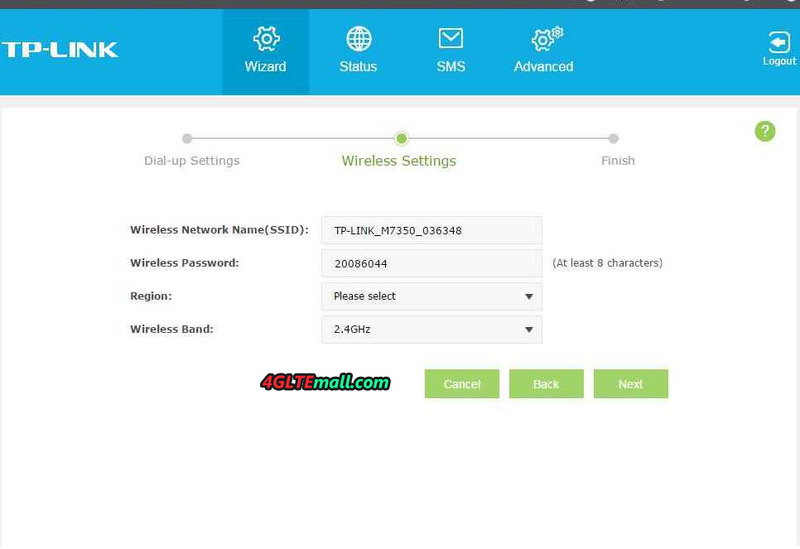 Using the menu button of the TP-Link M7350, the user can change the network or also switched roaming rapidly and off on the road and have a look at the wireless password. Advanced access to all functions of the router could be done via the web interface of the device from the PC. An app to control does not exist unfortunately. Supported operating systems include Windows from XP, Mac OS, Android and iOS. The equipment of the M7350 also has a Micro-SD card reader, the card takes up to 32 GB capacity. Access to the card is done via a corresponding Explorer via iOS or Android, so you can share photos or music from the SD card on all connected devices. 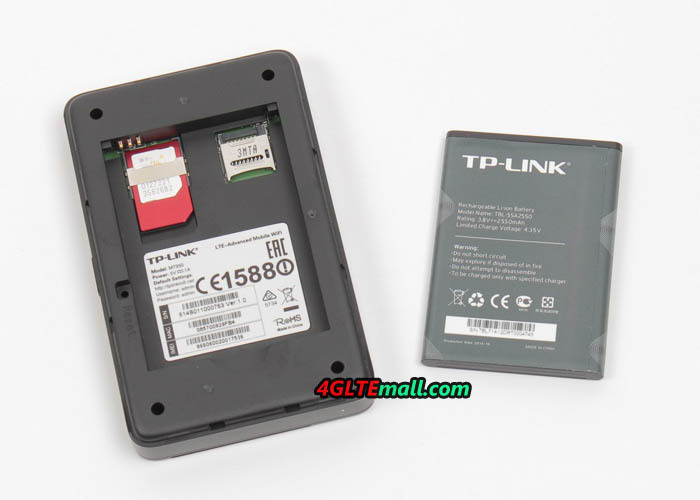 The TP-Link M7350 battery provides decent 2550 mAh and is fortunately removable. According to the manufacturer, the battery will last through up to 10 hours surfing the LTE network. Charging the battery can be done via the included Micro-USB cable either on the PC or an adapter on the socket. 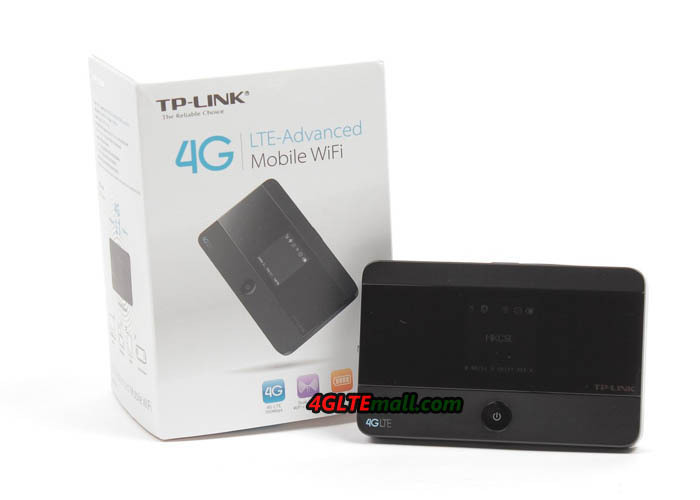 The mobile router TP-Link M7350 is available in black in various online stores such as www.4gltemall.com for free trade. The new router from TP-Link M7350 scores with LTE Cat4, replaceable battery and SD card slot. If you need a pocket router with a connection for an external antenna as well as the operation via a smartphone app, TP-Link M7350 may not be a good option. You could choose other brand such as Huawei E5786 or Netear 782s. But except that, the TP-link is a good 4G router. 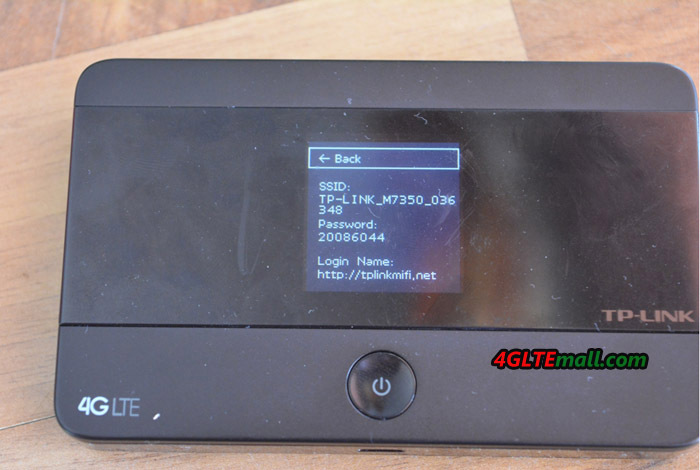 TP-Link has launched its first LTE mobile hotspot M7350 in the Cebit 2015. Since the predecessor M5360 showed a good performance with UMTS modem in the test, we have the successor M7350 for performance test. The TP-Link M7350 could achieve speeds of up to 150 Mbit/s in the downlink over LTE Cat4 and the Internet connection is via WLAN at 2.4 and 5 GHz. The battery has capacity of 255 mAh and user can easily replace it. The package reveals all technical data and the design of the TP-Link M7350. There is also a great reference about the three-year warranty from manufacturer TP-Link. If you open the package, you can find the hotspot M7350 next to a battery with a capacity of 2550 mAh, a micro USB cable, a power supply and a Quick Start Guide. As a special feature, there are two SIM card adapters included, one from nano-SIM to Mini SIM and the other one from the Micro SIM to Mini-SIM. The adapters solve the big problem about the SIM format. 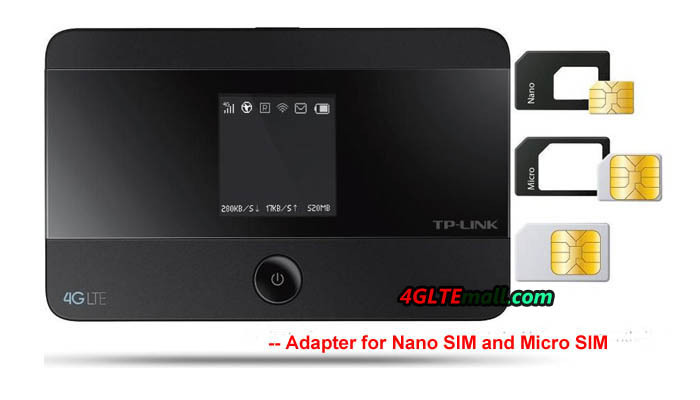 All those who have a smaller SIM card or the mini-SIM format could use their SIM card with the TP-Link M7350. Whether with or without adapter, the SIM card is inserted underneath the battery; and a MicroSD memory card is optional to use in the M7350. The battery cover is stuck and needs to open some force, but most users will keep changing the battery rather than changing it. 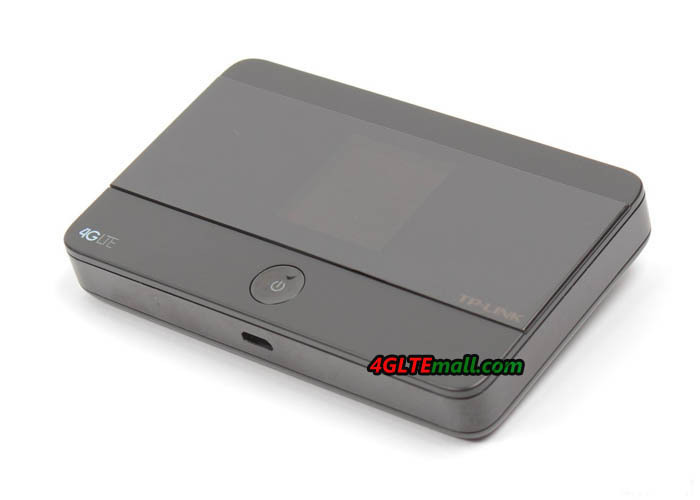 The body of the TP-Link M7350 is held largely in matt black plastic and looks very spectacular. The front along with the small OLED display is partially covered with a clear plastic. This cover scratched amazingly fast in contrast to the rest of the case. TP-Link M7350 can use LTE in the frequency ranges to 800/900/1800/2100/2600 MHz. Thus it can be used not only in Europe but also in many other areas worldwide. The maximum speed over LTE is 150 Mbit/s for the downlink and 50 Mbit/s for the uplink (LTE Category 4). In the test, M7350 could work with a SIM card from Vodafone and reach up to 130 Mbit/s. And the reception quality is good, even at the location far from the base station. We remember that we had tested Huawei E5786, and the result looks very similar. As you know, Huawei E5786 is with the latest wireless technology. 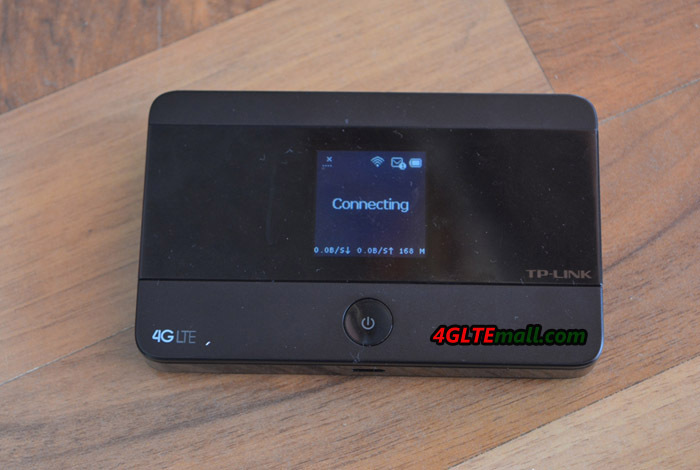 If the LTE network is not available, user can use the UMTS ang GSM network through TP-Link M7350. When connected with DC-HSPA+ in the UMTS network, M7350 could reach up to 42.2 Mbit/s for the downlink and 5.76 Mbit/s for the uplink. The most common frequency ranges around 900 to 2100 MHz are supported. In the test I have a telecom card up to 26 Mbit/s can be achieved via UMTS, and I was about one kilometer away from the base station and the device had a good signal reception. The WLAN module in the TP-Link M7350 transmits both 2.4 GHz and at 5 GHz. The range is naturally limited in comparison to an ordinary wireless router for stationary use, but perfectly adequate for most usage scenarios. So you can still enjoy surfing through two “normal thick” walls and about 5 meters (in the 2.4 GHz band). On the body side of the M7350, there is a menu button, which can be used in conjunction with the power button on the front to operate the equipment. A few important functions can be controlled so easily without the web interface. So you can see for example Wi-Fi SSID and password on the display to connect devices with the TP-Link M7350 quickly and easily. The second menu item in the device allows the choice of wireless frequency band (2.4 GHz or 5 GHz) and the third is for you to enable or disable the roaming mode. Particularly interesting is the ability to set the network mode directly on the device (eg “LTE only” or “UMTS only “). This can be useful in some regions when the hotspot constantly switches between the mobile technologies. The web interface allows all advanced settings options. It can be reached via http://tplinkmifi.net and is very quick and easy to use. The design is clear and the functions are easily accessible. Overall, the functions are not as extensive as the web interface of a Netgear AC785s, but all the important settings are available. The TP-Link M7350 battery could last continuous use for about 6-7 hours and can be recharged via microUSB connector. In practice, the WLAN switches off automatically when it’s not in use for about 15 minutes. Thus, the unit saves energy. If you want to surf again, you must briefly press the power button only once. The M7350 TP-Link is a good mobile LTE hotspot. In the test, it was stable and provided good rates. The equipment is dual-band Wi-Fi with a well-read display and a fast web interface. Overall, the TP-Link Router M7350 is a recommendable 4G pocket WiFi!